I finally decided to look at an article on Gayle Nix Jackson's site, "The Curious Case of the American Bakeries Pay Vouchers." I saw it referenced a few times on Facebook. Maybe other people have the same experience. This is why it takes me forever to read JFK assassination books. Spelling errors bother me. We all make them, but I would hope we try harder to avoid them, especially when we're writing about JFK's assassination. We can do so by doing one simple thing, after you're done writing read your whole article as though you're not the writer. This is called proofreading. It can save you from embarrassment if you catch your own mistakes first. Do not rely on the auto-correct feature many word processing software programs come with, including the one in Blogspot.com's. So, I see where a word should be "contract," and not contact, and I write notes as I continue to read the article which leads me, sometimes to new discoveries, at least for me. That should be “contract,” not contact. The very next sentence, if you can call it that, is a mess. “Despite this document, the U.S. government assured…" Assured who? If you go back a paragraph Mrs. Marguerite Oswald is concerned about the whereabouts of her son after letters she mailed to him in the Soviet Union were returned unopened. She went to Washington, D.C. to find out what’s going on. She meets with three officials at the State Dept. Forgive me this minor digression but this alone is a hell of a story that I think should be investigated further. And I thnk it speaks to the high moral character of Mrs. Marguerite Oswald. I don’t know of any other mother doing anything remotely like this during the Eisenhower administration during the heydays of the Cold War. So, that word, “assured” seems to harken back to the subject of the previous sentence, Mrs. Marguerite Oswald. However, that doesn’t seem to make sense either as I’m not aware of her ever knowing about the contract to purchase trucks for the “Friends of Democratic Cuba,” a deal that as I recall never happened because the trucks were never paid for. Looking up Warren Commission Document #75 p. 677 the thing that leaps out at me is the date that this incident supposedly occurred at the Bolton Ford Co., 1483 Claiborne Avenue, New Orleans. 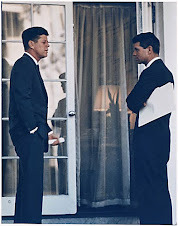 This incident allegedly took place on January 20, 1961, the very day JFK is innaugerated as President of the United States. Perhaps the authors meant “assumed,” and not assured? Oh, and how do the authors know that the Marines knew that LHO was not living at the address they sent a letter to regarding the changing of his honorable discharge to one of dishonorably discharged? Again, forgive a digression, how many times has anyone’s honorable discharge from the Armed Forces of the United States been retroactively changed in such a manner? Is it the case that this is unique to Lee Harvey Oswald? Getting back to the subject at hand, Marguerite Oswald states a letter about the discharge was mailed, and it’s hard to discern based solely on the testimony of hers if it came from, or was sent to, Glenview, Illinois. 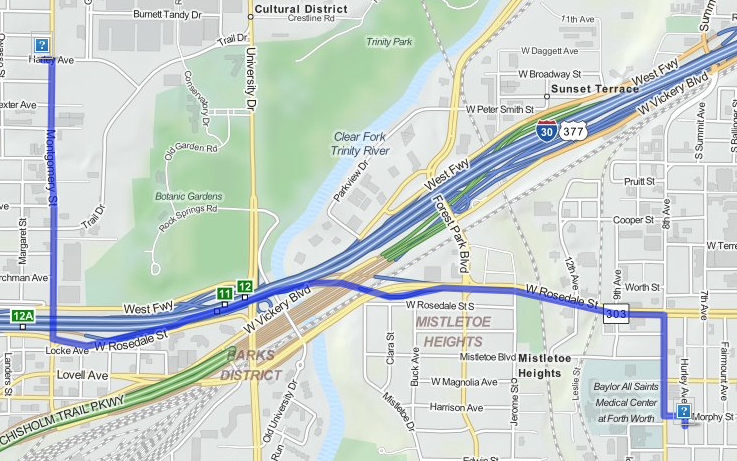 A quick Google search indicates that there was a Naval Air Station in Glenview, Illinois ( See Wikipedia entry.) So, the letter originated from there. Marguerite reads from the letter that the letter was sent to the last address they had on file for LHO. This letter, sent to Marguerite which she reads from during her testimony to the WC was marked by them as WC Exhibit #204, Vol. 16, p. 585. The letter was sent to 3613 Harley, Fort Worth, Texas. My point is the authors do not support their conclusion that the Marines knew LHO was not at this address and were deliberately sending material to LHO that they were going to change his discharge from honorable to dishonorable knowing full well LHO would never find out what they were doing to him because they knew he was in the Soviet Union. That wasn't the case at all. Yes, they knew LHO was in the Soviet Union but the reason they sent the letter to 3613 Harley, Fort Worth, Texas was because that was the last address they had on file for him. So, that's the letter that became WCE #204. Mrs. Marguerite Oswald corresponded with them. The next letter from them, WCE #204 p. 586, to her is sent to 1410 Hurley, Ft. Worth, Texas. This tiny house is very close to a hospital. 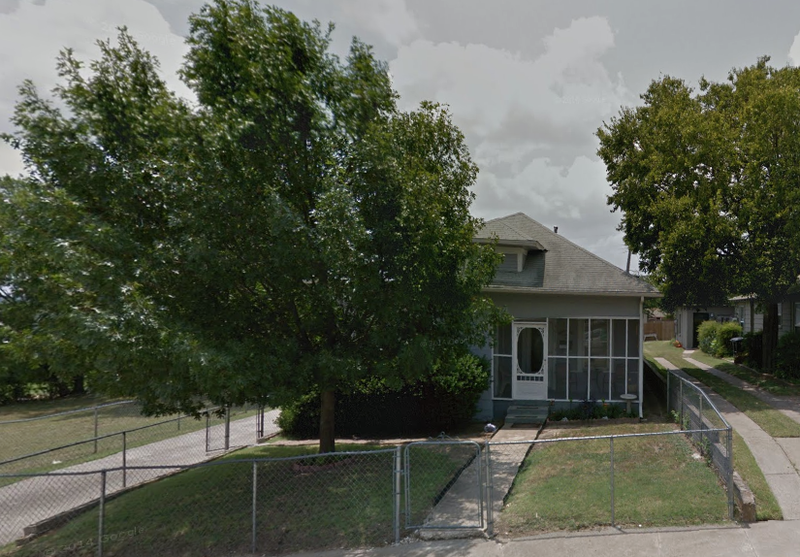 1410 Hurley Avenue, Ft. Worth Texas as it appears today. And, of course, one can see the stationary, United States Marine Corps, Headquarters, Marine Air Reserve Training Command, U.S. Naval Air Station, Glenview, Illinois. LHO must have been considered in the Marine Air Reserve at the time of his "defection." And before I forget it, Mrs. Marguerite Oswald mentions in her brief testimony between p. 216 and 220 that she visited the FBI field office in Ft. Worth and she was told by an agent there that he had worked in that FBI field office for 9 years and had never heard of a Mr. John Fain. Now, what was going on there with that? The authors mention how Mrs. Lydia Dymituk, born in the Soviet Union, but a citizen of Belgium before she came to Texas in 1962 considered LHO a "free loader," as if Mrs. Dymitruk was expressing either the majority or unanimous view of Oswald. 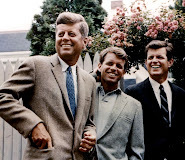 I would like the authors to read Peter Dale Scott's book "Deep Politics and the Death of JFK," and therein they will find a discussion of the division within the White Russian community of Dallas. There were two factions, and Oswald bridged them. At one time he's with one and then another time he with the other, which parallels what he was doing in New Orleans with the pro-Castro and anti-Castro people he came into contact with there. There's a HUGE hint for you folks! Again, I think the authors gloss over an important point when they write that the FBI continuously kept track of the Oswalds upon their return to the U.S. I think this is still in some dispute for FBI agent James Hosty claimed not to know where LHO was when he was tasked with finding him in Dallas. I'm sure recently released documents will tell us more on this. Another thing that annoys me are improper citations, a citation to John Armstrong's research papers is not acceptable. There should be some citation to a page in his book. His notes have been donated to Baylor University. They've been scanned and are online and I should think one could at least cite that the referenced material can be found online. "Armstrong, "Description of Report," (Research notes for book Harvey and Lee)" are about as vague of a citation as I have ever seen. And it doesn't really address the sentence after which it appeared. There were 12 additional newspaper reports, after the reports on the day of his "defection" to the Soviet Union on October 31, 1959. So which report does the vague citation refer to? Did Julia Postal say Oswald was in the balcony at the Texas Theatre? No. She guesses LHO could have gone up there under the assumption that Butch Burroughs was telling the truth that he didn't see LHO go past him inside the theatre. Warren H. "Butch" Burroughs testified that he was putting candy away at the time so LHO could have easily gone past him without Burroughs seeing him, but Burroughs tells authorities that LHO did not go past him, that he did not see Oswald go past him, that he must have gone up in the balcony. In the 7th paragraph the narrative flows from Julia Postal's testimony, to other reports, to [Warren H.] "Butch" Burroughs. But, when the authors use Burrough as saying "this gentlemen purchased popcorn," that isn't in his WC testimony. The author's cite James Douglass' book "JFK and The Unspeakable," and they make the common mistake of misspelling James Douglass' name, two letter s, not one, folks. The authors write, "He [Burroughs] stated [ to author James Douglass] that after this gentleman purchased popcorn he went to the balcony to watch the film. This was just after 1 p.m." Well, no, that's wrong. Douglass says that Burroughs told him he sold Oswald the popcorn at 1:15p.m. Burroughs is still a great alibi for Oswald not being the killer of J.D. Tippit. Seven paragraphs in and the authors haven't gotten around to the subject of the article yet. What is not widely known is that Oswald went and sat next to people in the sparsely populated movie theatre, then he got up, and sat next to someone else. He did this multiple times. What is widely known is that movie theaters were places where spies met and exchanged information or documents during the Cold War as they were dark and the audiences attention is naturally focused on the movie. The problem is Oswald is an elitist idiot who disdained movies and was never in one before. So, he was too stupid to sit down naturally and let his contact come to him. He may have been told to act the way he did by his handlers who must have been dying with laughter every time Oswald got up and sat down next to some puzzled, innocent stranger as Oswald tries to find his contact. In this context, the authors write, badly, "Jack Davis, a Dallas evangelist, was seated beside Lee Harvey Oswald prior to Oswald apparently changed seats." What is interesting is that Jack Davis, and Bernard J Haire, a man who owned Bernie's Hobby Shop two doors down from the theatre both saw a man they took to be LHO being taken out the rear of the theatre and placed in a police car. Davis never saw the film or photographs that show that LHO was taken out the front of the theatre until the 1990's. We finally get to the heart of the subject in the 8th paragraph. Allegedly, when police searched Oswald's clothing in DPD HQ near 4 o'clock in the afternoon, more than two hours after his arrest the authorities claim that Oswald had two pay checks made out to a James Jackson. In my previous work on Cecil McWatters bus and William Whaley's cab the authorities also made the claim that they "found" a bus transfer Oswald and that led them back to McWatter's bus and Whaley's cab. That story is a lie. Oswald was never on McWatters bus, and he was never in William Whaley's cab. So, they never "found" a pristine bus transfer on him. Nor, did they find Oswald's wallet, allegedly found and taken from him in the ride from the Texas Theatre to DPD HQ, which would be wallet #3. You have to remember we were also told that Oswald left his wallet for Marina, which would be wallet #1, and that the police also found Oswald's wallet at the scene of the Tipitt murder, which would be wallet #2. So, that would be three wallets. Obviously fraudulent evidence is being introduced to frame Oswald for the murder of JFK and Tippit BY THE DALLAS POLICE and other local authorities. So, no, I don't believe these pay vouchers were really found on Oswald when arrested and brought in. So, what's the story with these pay vouchers made out to a James Jackson? Who the hell is James Jackson? One is dated 8/22/60 and the other is dated 9/2/60. 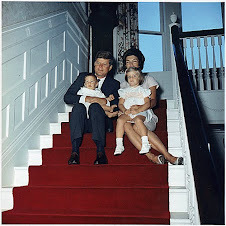 Why in the hell would LHO have these on him on 11/22/63? Was Oswald while using the name "James Jackson," working in bakery company in Dallas? Officially, LHO is in Russia during the times these paychecks were created. If these are as fake as the discovery of a real bus transfer on LHO what is their purpose? What is the purpose of finding these on Oswald. What narrative would the authorities be going with in claiming they found these three year old paychecks in someone else's name on Oswald? There was a real James Arthur Jackson who was employed part-time on August 14, 1960. He became full-time employee on October 15, 1960. Jackson at one time lived in an apartment at 214 West Neeley St where Oswald would later stay. This appears to be the only link. They were never in the apartment at the same time and apparently never met or knew each other. So, why does Oswald have these paychecks? There is another story of their discovery. FBI special agent William G. Brookheart stated he found these paychecks in the 214 Neeley St. apartment on November 24th. The authors citation for this, numbered 24, is to IBID, which is the same as the previous citation. But, that can't be as that's to the Dallas City Directory for 1963. No, what they meant was to repeat the one above 23, #22, which cites "William G Brookheart (FBI memorandum, no date.) In minutes I found that this is page 12 of Warren Commission Document 105. Warren Commission Document 105 page 13 has the information about James Arthur Jackson being hired part-time on Aug 14, 1963, etc. There is also FBI 105-82555, Oswald Headquarters file, Section 71. Warren Commission Document 5, p. 224 has the information about Mr. M. W. George, who is the owner of 214 West Neeley St. 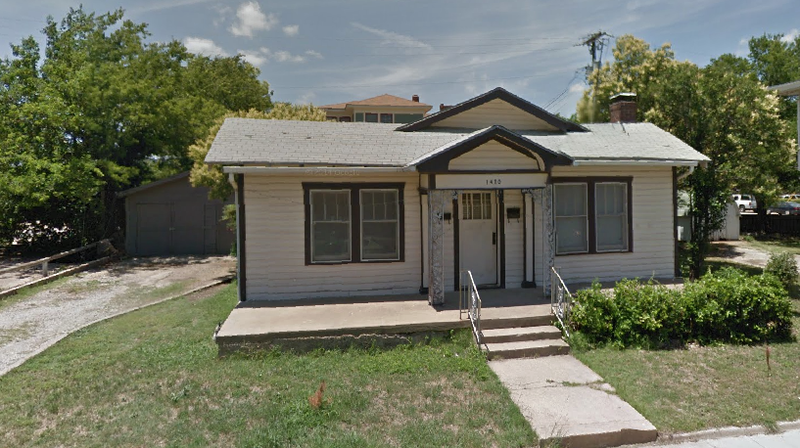 He states that from April 1, 1963 to May 31, 1963 Oswald lived at this address. 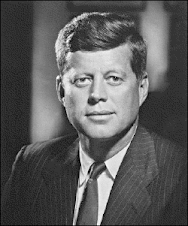 And he left without notice on May 31, 1963. And since that time he had the door padlocked, but suspected that someone was getting in regardless. He also states he went into the apartment on Nov 22nd, 1963 looking for "possible scraps of evidence," but found nothing. The authors of the article cite (#25) James V Anderton, FBI Memorandum, November 29, 1963. Grrr, they are making me find these documents for them. The FBI checked in with the American Bakeries headquarters in Chicago and found copies of the paychecks. This is odd as they state that normal policy is to discard this information after 2 years. The authors citation #27 is to "Charles Price, et al. ( FBI Memorandum, December 19, 1963. ) Okay, this information is here. This is CD 230 page 2, FBI Shanahan Report of 24 Dec 1963, re: Oswald. The rest of the article is well written and very intriguing. My main criticism is that I haven't really learned anything about why Dallas police authorities claim Lee Harvey Oswald had these paychecks on his person. The article only lays out the foundation that there's something very odd here.